Fact: Brushing just your teeth only targets 25% of your mouth*. Opinion: If we only brushed we would have never reached the moon. And we're not ones to stop at 25%. *From a study representing teeth area measurements. 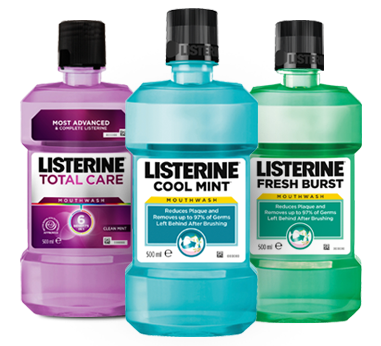 To ensure you’re targeting your whole mouth, use a LISTERINE® mouthwash twice daily by following these simple steps and tips. It could be the first step to a bolder you.